Neat Momentum SX5i review | What Hi-Fi? We know speakers and their feet isn’t exactly a hot topic. It’s not a subject we mention as a rule, yet in the case of Neat’s Momentum SX5is and their optional tri-laminate feet, we feel we must. Each of these feet – there are two per speaker – is made of two 4mm thick steel plates separated with a layer of bitumen. While the hefty £545 price seems out of all proportion for what they are, the gains in performance make ticking the options box almost mandatory. Without the feet, the Momentum SX5is are likeable but fairly middling four-grand floorstanders. With them, the speakers become more serious contenders with enough ability to warrant a place on the shortlist. Optional feet apart, the Momentum SX5is are deceptive. What look like conventional two-way towers turn out to be 2.5-way designs with bass reinforcement provided by two downward-firing units per box. These drivers are arranged in an isobaric configuration – the two 17cm treated-paper units are positioned one behind the other and work in phase. This arrangement, if done properly, usually delivers greater bass depth and control than conventional alternatives. The cost – you are paying for an extra bass driver, after all – and difficulties in optimising the dual drive units means this form of bass configuration is pretty rare, and usually only seen at premium prices. You’ll have to be careful when taking the Momentums out of their packaging, as the downward facing bass driver (you can only see one from the outside) is exposed and easy to damage. Each speaker weighs in at 20kg without optional feet and is an awkward lift for one. Make sure you have a helper when unpacking to avoid damage to the speakers or your back. The rest of the driver complement is conventional Neat fare. The tweeter is an inverted anodised 25mm aluminium dome, while the mid/bass unit is another 17cm treated paper driver, but this time using a phase plug at the centre. The quartet of drivers is linked by a hardwired crossover network, which uses high quality, close-tolerance capacitors and inductors. The cabinet is split internally, with the upper part of the cabinet sealed off from the bass section. Build quality is broadly what we expect at the price. Our samples come covered in an unusual Grey finish, but this is a cost option that adds just over £600 to the price we’ve quoted (it’s a 15 per cent premium). The standard finish options are natural oak, American walnut, black oak and satin white. The attention to detail on our review samples isn’t great - there are areas around the base of the cabinet and around the rear ports where Neat needs to do a… well, neater job. The price of the speakers demands it. Both the mid/bass and isobaric bass units have a dedicated rear-firing port, so don’t be tempted to position them right up against a rear wall. Blocking the ports will spoil the way the speakers work and unbalance their presentation. In our listening room, a free-space placement works best and gives the most convincing balance between even tonality, bass performance and stereo imaging. Floorstanders at this level need a quality system to perform well. We use the Neats with our usual reference set-up of Naim NDS/555PS streamer, Clearaudio Innovation Wood record player and Gamut D3i/D200i pre/power amplification. We also use Burmester’s lovely 035/036 pre/power combination to see how the Neats cope with an ultra-smooth and sophisticated approach to music replay. Our SX5i samples take the best part of a week to settle, but once they do there’s no denying these are entertaining performers. Once on song they have a wonderfully cohesive and confident presentation that concentrates our attention firmly on the music rather than hi-fi considerations. That ties in with the way Neat develops its products. The company tunes its speakers by listening rather than measuring. It might seem an obvious thing to do, but most of the industry tends to prioritise things the other way around. Play Moondance by Van Morrison and the Neats sound right at home. They deliver the distinctive walking bassline with all the bounce it deserves, while Morrison’s vocals are rendered with energy and charm. These speakers sound fun and upbeat, keeping everything organised but allowing enough freedom for the music to flow. They’re surefooted rhythmically, keeping the momentum of the music intact and our feet tapping. We decide to move onto harder-hitting material in the form of Kanye West’s Yeezus. Here the SX5is show off their impressive attack and punch. They deliver far greater bass power than would be expected by their slim proportions - and they do so with considerable skill. Low frequencies are taut and agile, blending well with the midrange. These Neats stay composed as volume levels and musical complexity rises, though a hint of excess bite at higher frequencies suggests careful partnering is needed to keep things civil. Moving onto Ólafur Arnalds’ Beth’s Theme from the Broadchurch OST reveals a few chinks in the Neat’s formidable armour. 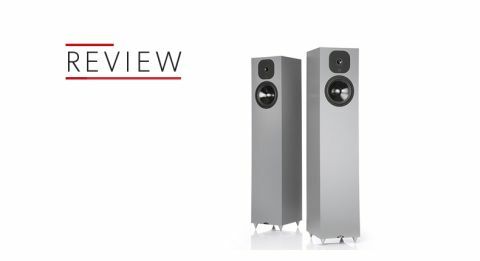 While these speakers have no trouble delivering large-scale dynamics with enthusiasm, they have a tendency to overlook subtle nuances somewhat. That dilutes the sadness and pain of music such as this, leaving it sounding more upbeat than is ideal. We notice the same trait with vocal-based material such as Martha from Tom Waits. While this trait is nowhere near being a deal-breaker it does prevent the SX5is from being an unreserved recommendation. They impose their enthusiastic character on the music a little too strongly to achieve that. With most music, this upbeat nature is entirely positive. These Neats are thoughtfully engineered and entertaining, and for many that will be enough to make them preferable to alternatives that place analysis above fun. Given a carefully chosen system, we think they’re well worth considering.